When I started the research for my new book, lo those many years ago, my first stop was College Park, Maryland. The National Archives hold the papers of William J. Bennett, Reagan’s second Secretary of Education. To my thinking back then, Bill Bennett personified the tradition of conservative activism in education. In a recent long interview with Bill Kristol on The Weekly Standard, Secretary Bennett shares his memories of his conservative leadership in education. Among other things, Bennett articulates a long twentieth-century tradition of conservative thinking about proper education. In addition to some wacky stories of practical jokes by President Reagan, Secretary Bennett explains what motivated him about America’s schools. The most important thing he has done in his entire career, Bennett explains, is his publication of his best-selling Book of Virtues. After it came out in 1993, the BoV spent eighty-eight weeks on the New York Times bestseller list. The big accomplishment of the book, Bennett says, is that it salvages traditional stories from our culture that are in danger of being lost. It insists that we all share common values, no matter our religious or cultural backgrounds. 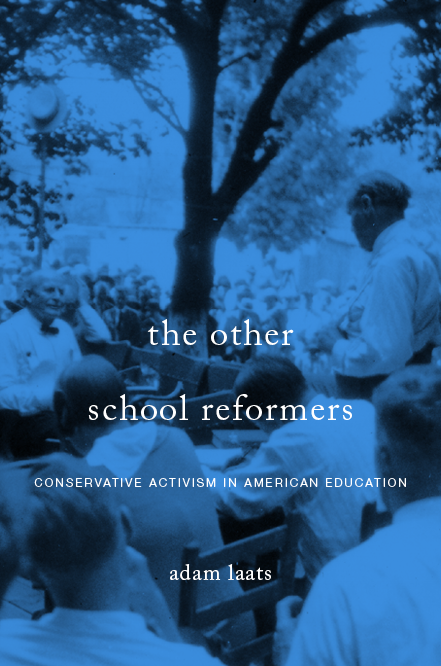 As I argue in my new book, this notion about the first goal of American education has long been a central unifying theme of diverse conservative politicians and activists. Long before Bennett took over as Education Secretary, Max Rafferty had articulated similar sentiments from his post as State Superintendent of Public Education in California. Without the great hero-stories, we are left in the schools with statistics on immigration and economic development, dry-as-dust treaties and proclamations, accounts of population trends and antitrust legislation to give the children in the guise of history. They will grow up inevitably with the same amount of love and reverence for their native land which they would feel for a mathematical theorem or a chemical formula. the grand old stories that you and I remember so fondly from our childhood. Ben Franklin and his famous pun about hanging together or hanging separately. . . Sam Houston at San Jacinto, reminding enemy dictators for all time to come that Americans would forget attempts to enslave them only when Texans forget the Alamo—these and a hundred more great stories cluster about our history, bulwarking and supporting it, mingling it in a Red, White and Blue mist, clamorous with voices out of our past, dramatizing American history and American institutions so that wide-eyed children will always remember. As Secretary Bennett remembers in this interview, his biggest success has been in putting a compilation of these traditional stories into the hands of millions of students, parents, and teachers. Like his boss President Reagan, Bennett argues that traditional stories teach virtue. Having students memorize these ancient nuggets of wisdom has done more to educate generations of Americans than all the progressive nostrums oozing out of high-falutin schools of education. There is no simple definition of “educational conservatism.” But in this interview, Secretary Bennett articulates something that comes pretty close: the notion that proper education consists of transmitting traditional facts and values into each generation of schoolchildren. I call BS on what he claims teachers told him during his visits to 12 schools. I can’t imagine thinking to myself, “How do I teach moral values?” before trying to figure out how to keep them engaged. He made that up to fit his narrative, unless the teaching of moral values would include making education important, which would fix the engagement problem. I doubt, though, that he thinks that deeply about it. Not only that. Students should not be taught vaguely how to learn, but rather should be taught knowledge. I see this as a contradiction in conservatism. Children cannot be “taught knowledge”. One’s knowledge is a very personal thing that cannot be taught. The best we can do is teach the children how to learn. We cannot teach them what to learn. I’m all for the grand old stories. But children will understand these in context. And, as culture evolves, so does the context in which students will understand these stories.